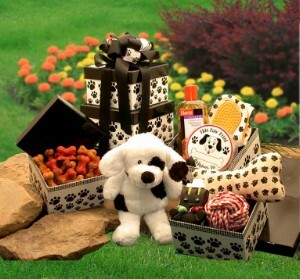 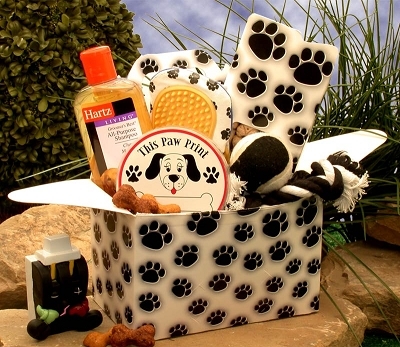 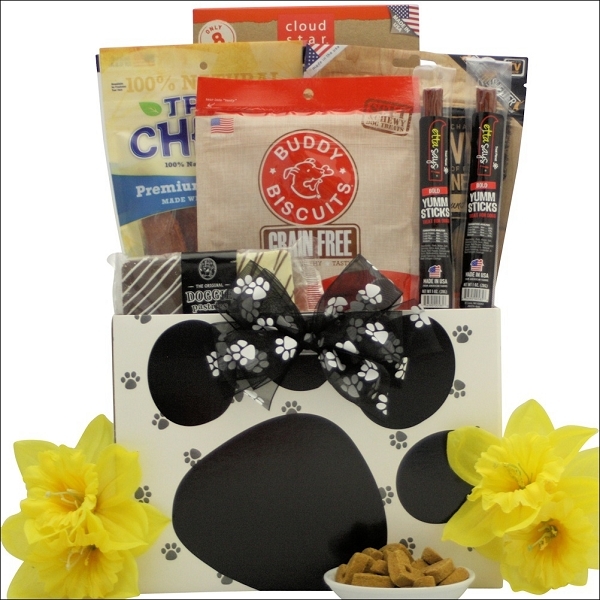 A cute doggie gift basket with a variety of yummy treats! 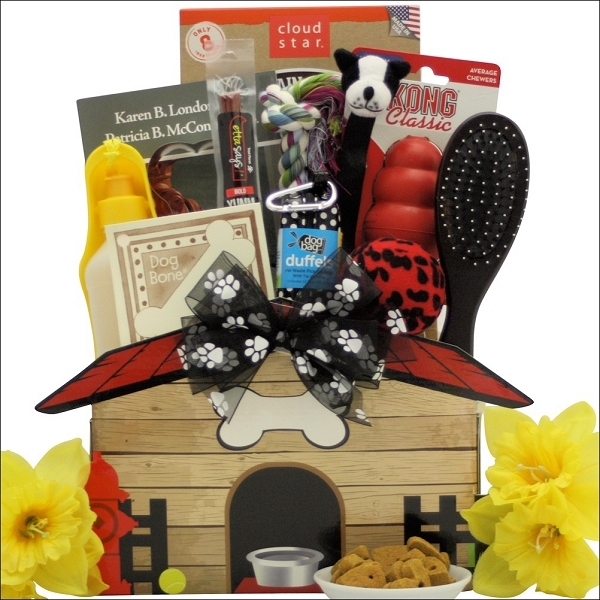 A wonderful dog gift basket with a great variety of yummy treats. 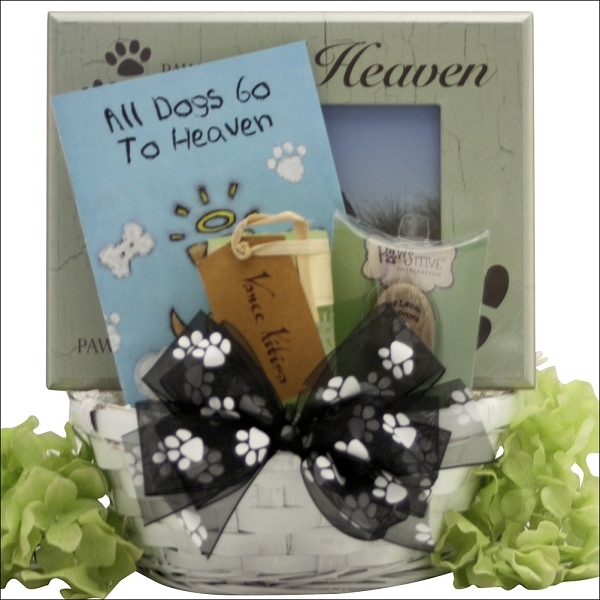 Send this unique dog gift basket to your favorite 4-legged friend and they will be happy for days. 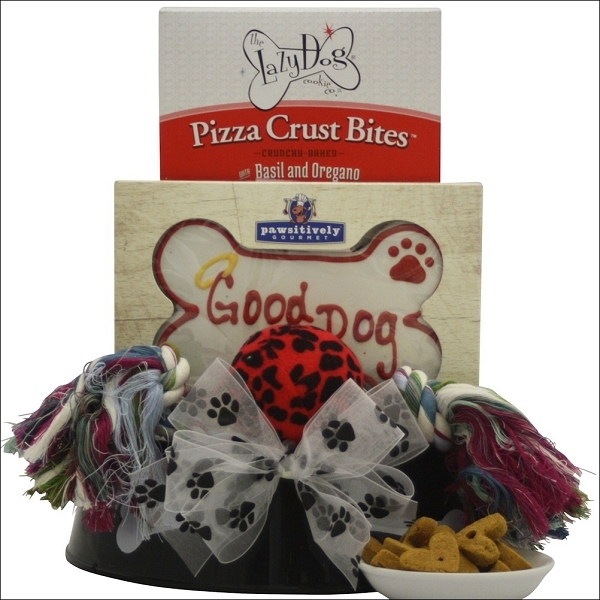 In a Dog Bowl we have included The Lazy Dog Company Pizza Crust Bites, “Good Dog” 6” Dog Bone, Double Play 2 Knot Cotton Rope Toy, and a Jungle Print Plush Dog Ball with Squeaker. 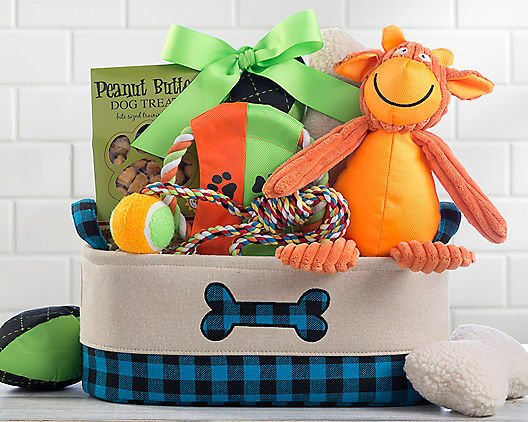 They are sure to have a ''tail-wagging'' good time. 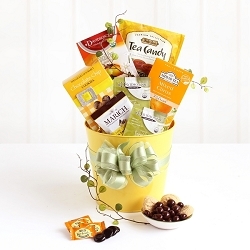 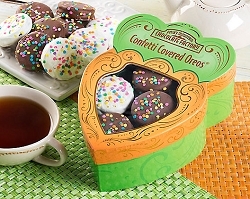 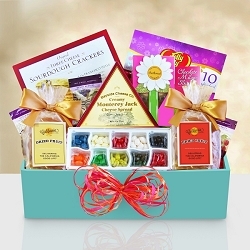 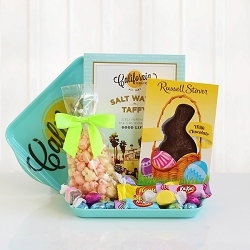 This gift basket is perfect for any occasion.